Nearly 400km of picturesque intersecting roadways make up the famous Romantic Road, one of Germany's most popular tourist attractions. Driving through historic stretches of Bavaria amongst medieval towns and modern farmland makes for a pretty good road trip. But finding your way along the sometimes poorly marked path takes some careful planning, a decent GPS system, and lots of room on your SD card. 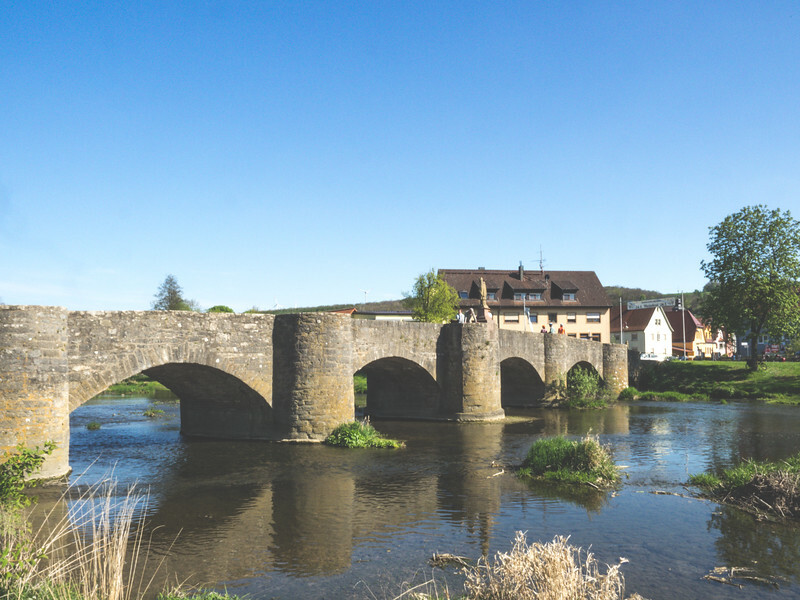 Discover some of the best sights along the Romantic Road by simply scrolling down. Developed in the 1950s by tourism agencies, the Romantic Road does have some basis in history. Portions of the existing roadways sit atop ancient Roman roads once used to expand the once huge Roman empire. 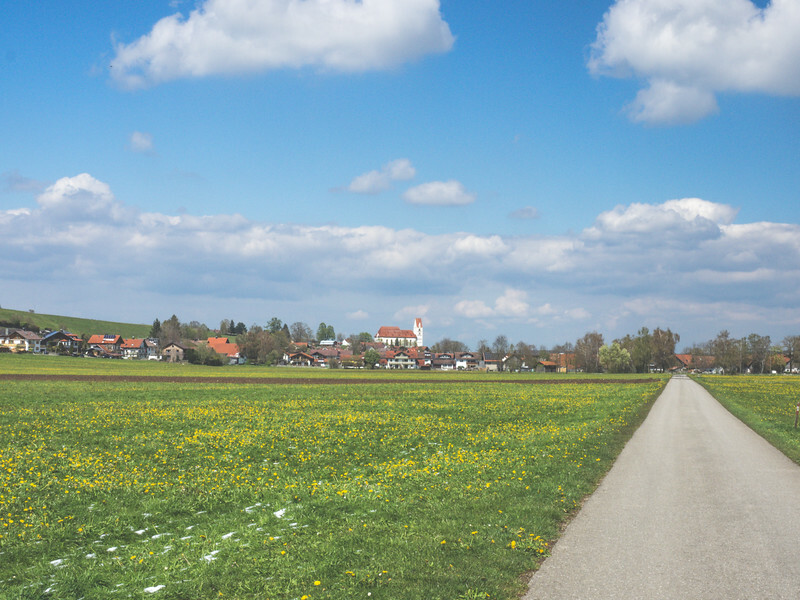 Now, many of the roadways are used only by farmers, residents, and tourists. 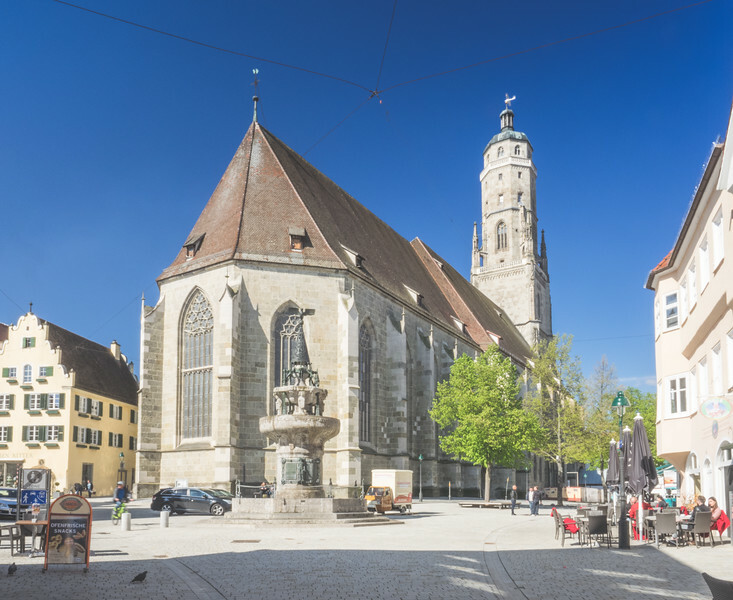 The Romantic Road connects many of Bavaria's most beautiful medieval towns, making for some lovely roadside stops and detours along the way. Where is the Romantic Road Anyway? The Romantic Road lies west of Munich and runs between Würzburg in the North and Füssen in the South. 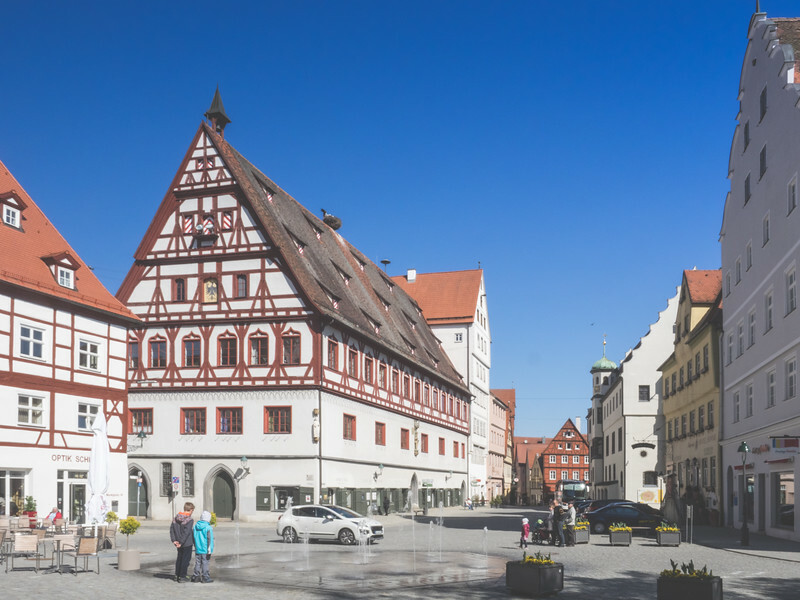 The northernmost sections of the Romantic Road offer tourists dramatic vistas in the Franconian wine region, while majestic mountains and storybook castles surround the southernmost parts of the tourist roadway. 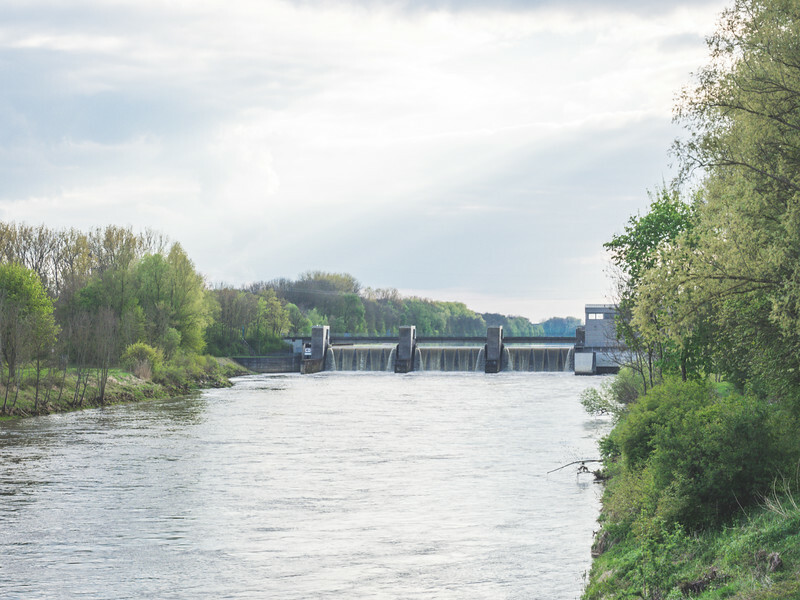 In between, you'll find Nördlingen, Dinkelsbühl, Rothenburg, Bad Mergentheim, Landsberg am Lech, Augsburg, and several more. 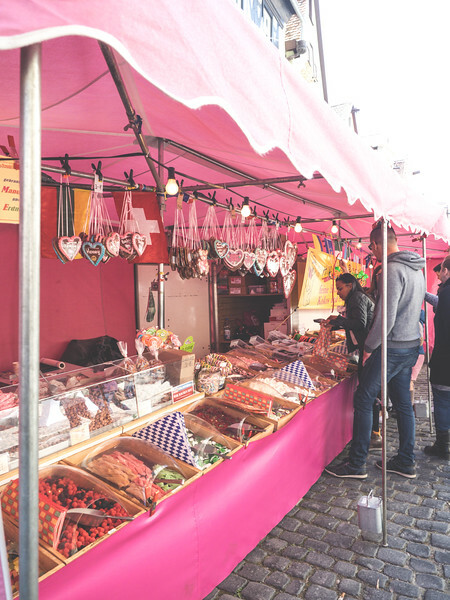 Each offers tourists something new and different, so research is needed when developing your Romantic Road itinerary. I chose to drive from south to north, mostly because I was meeting up with The Professor in Weltenburg where he was attending a conference. 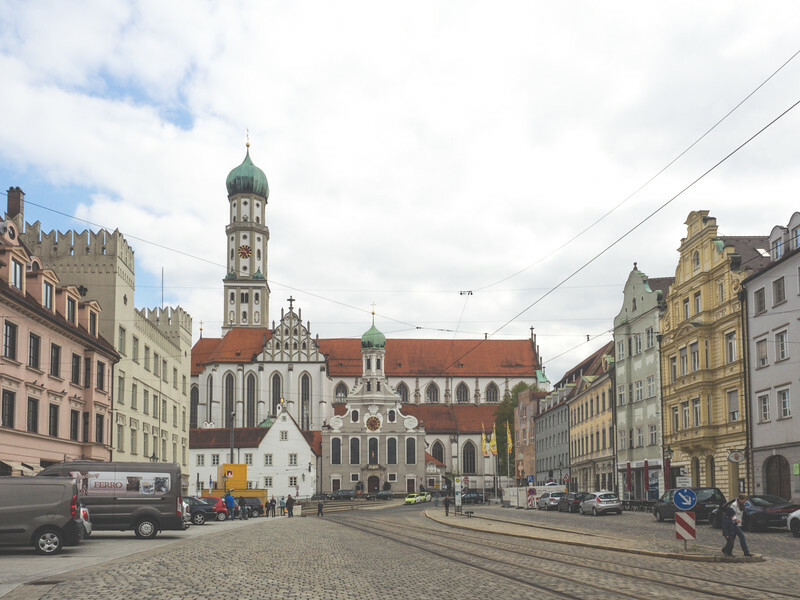 I had four days/three nights on my own to explore Bavaria and drive the Romantic Road solo. 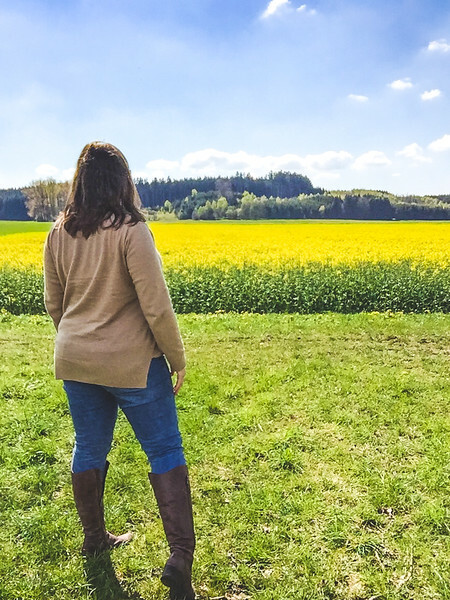 Was I nervous about my first solo adventure in Europe? Sure. I didn't speak any German, had never driven in Europe, and don't have much experience with solo travel. But that wasn't going to stop me from enjoying the beautiful Bavarian countryside. 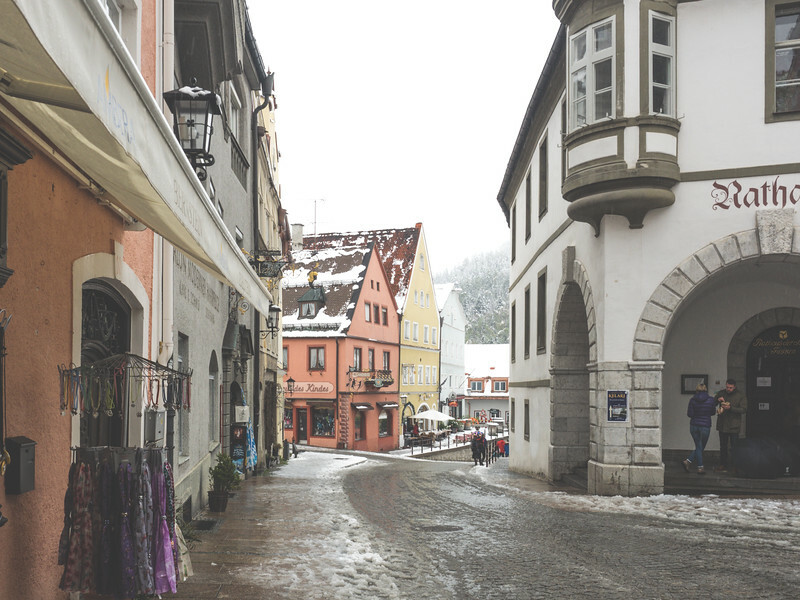 Starting in Munich, I first drove to Füssen where I stayed overnight. 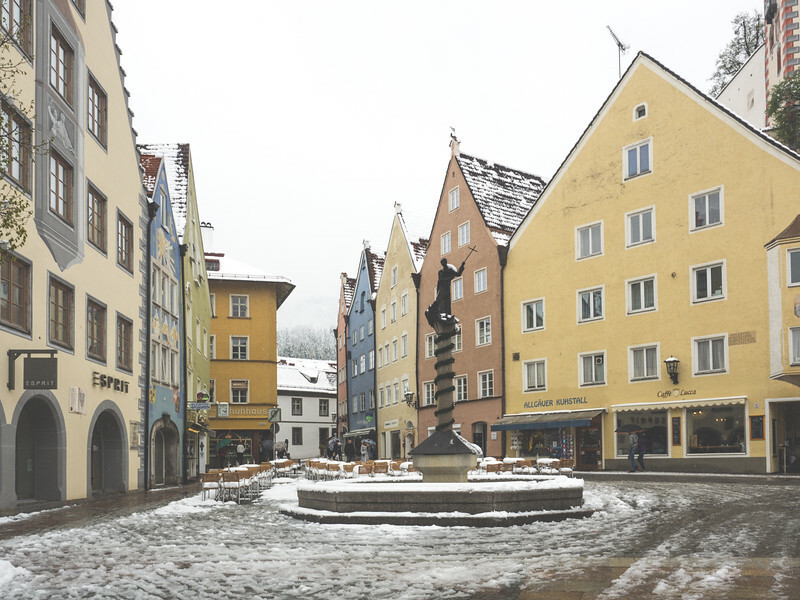 The next day I explored the area around Füssen including Tegelberg and Neuschwanstein before driving north through Augsburg to my next stop, a quiet little inn in Kirchheim am Ries. 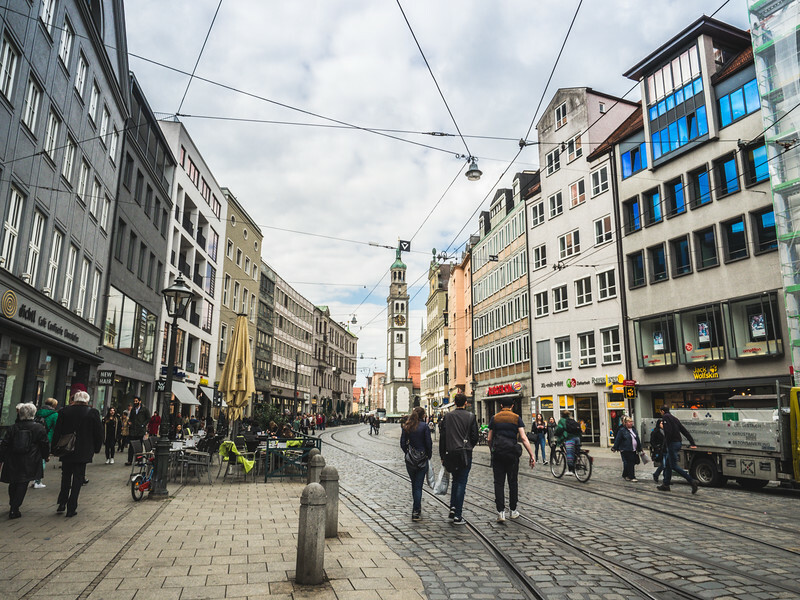 From there, I traveled through Nördlingen and several other sleepy towns on my way to Würzburg and eventually to Nuremberg. Although I didn't have time to stop to explore, I often found myself pulling over to admire the landscapes surrounding the villages. Cathedral domes and spires could be seen in the distance as you approach each town, all of which have a certain charm and unique characteristic. 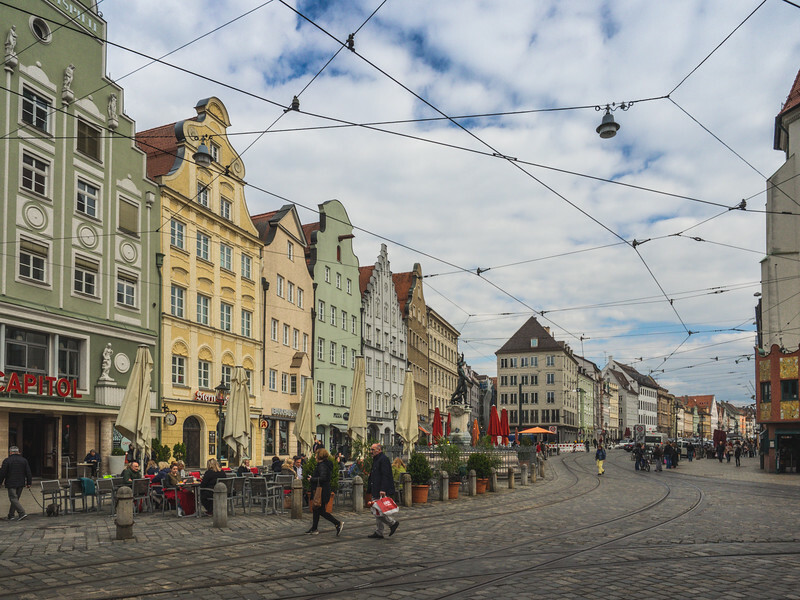 Here are some of the best stops on the Romantic Road in my opinion. 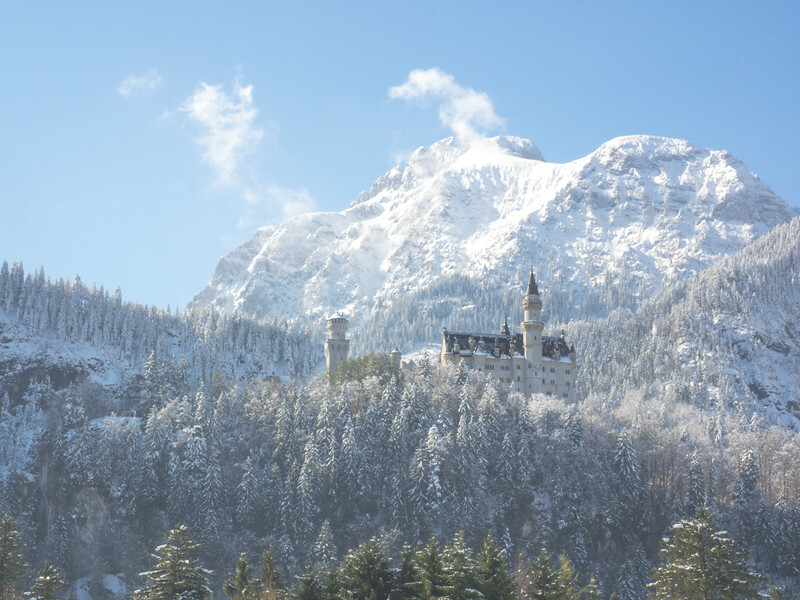 Many people (myself included) prioritize Füssen for the proximity to Neuschwanstein and Hohenschwangau, the two fairytale castles of King Ludwig II of Bavaria. Staying in the resort town of Schwangau was a bit out of my price range, so I opted for more reasonable accommodations in Füssen, which happens to be only a 10-minute drive to the famous castles. 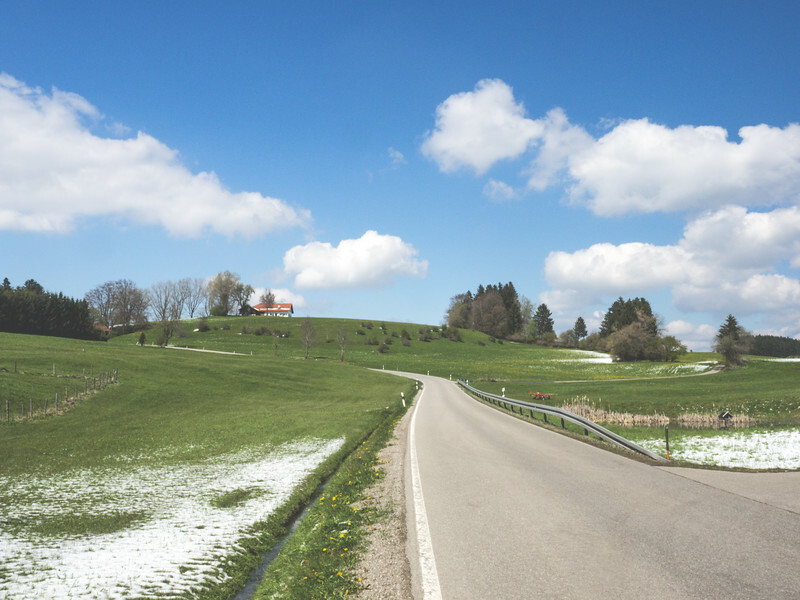 It's a great place to start your Romantic Road adventure, as it's an easy drive from Munich via some gorgeous country roads. 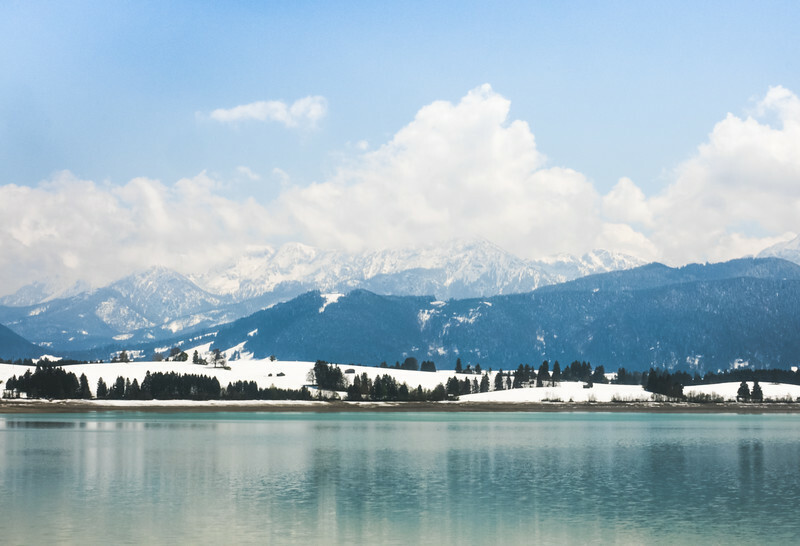 Füssen is also close to another beautiful Bavarian attraction: Lake Forggensee. The beautiful blue waters framed by the tall pines in deep shades of green make for a breathtaking sight. 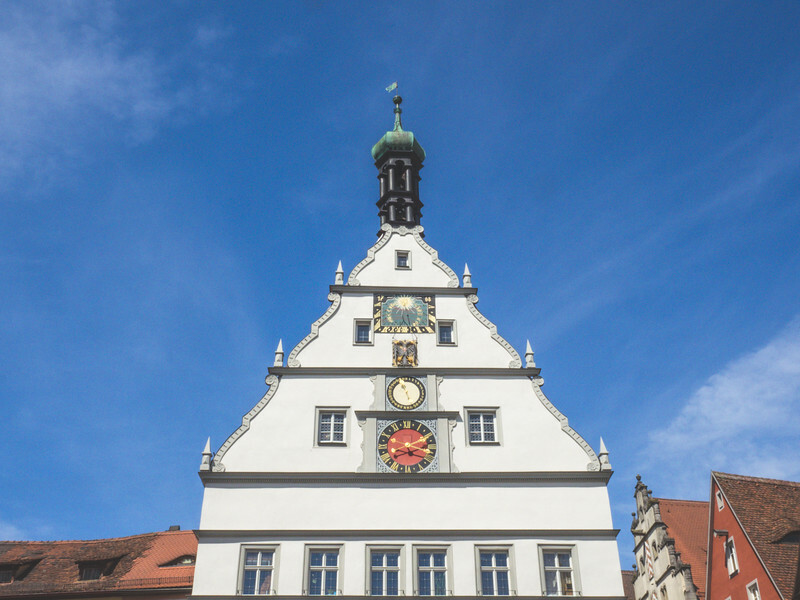 Augsburg is another favorite Romantic Road stops and for a good reason. 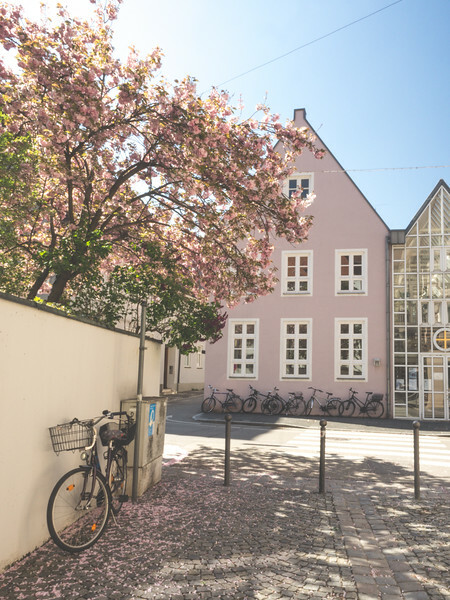 This super cute city has a storybook quality with a modern feel. The center of town hosts plenty of shops, cafes, bars, and restaurants, each bustling with locals and tourists. Schlosscafe Hochstadt in nearby Höchstadt is worth the detour. I only wish I'd arrived in time for a tour! 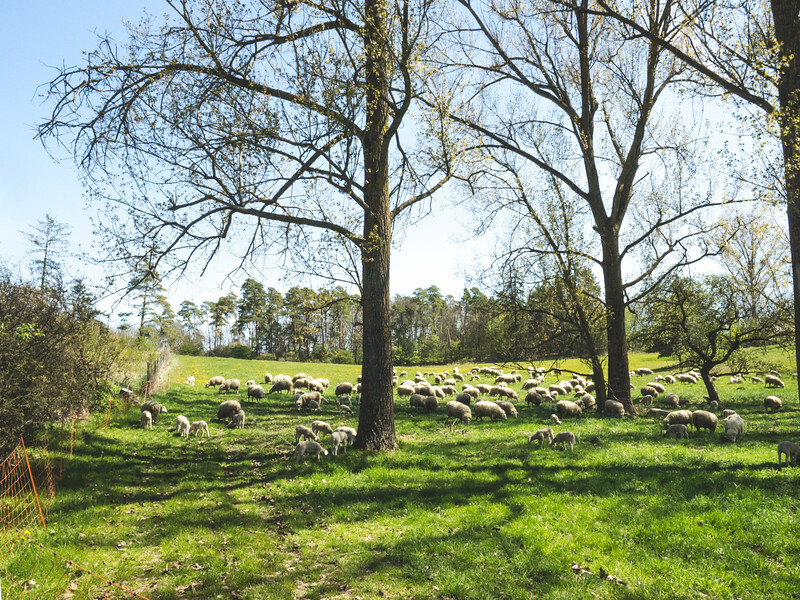 The path to my lodgings in Kirchheim am Ries took me away from the main roads through farmlands of vibrant green, brightly colored flowers, and grazing sheep. Of all the Romantic Road towns I visited, Nördlingen might have been my favorite. 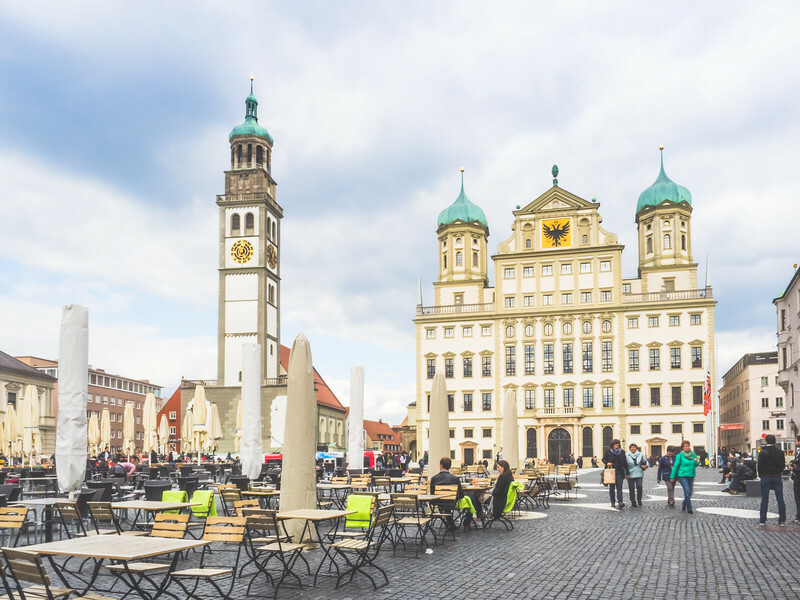 It seemed like the perfect blend of traditional Bavaria and tourism attractions. There were a few shops and cafes, but the village itself is the highlight. Locals were everywhere, out and about at cafes, going to church, spending time together. And climbing the Daniel Tower resulted in a spectacular view much like the view from St Canice's Round Tower in Kilkenny. 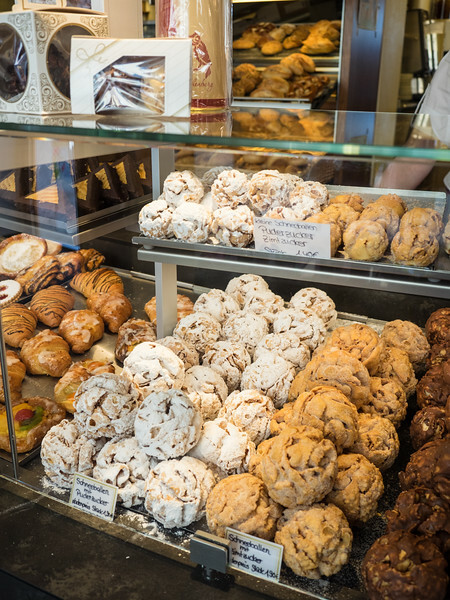 The biggest surprise on the Romantic Road might be Rothenburg. 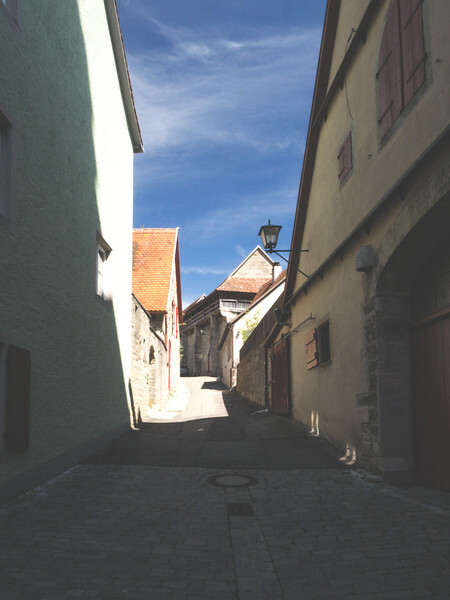 Surrounded by sleepy little villages and countryside, Rothenburg seems to come out of nowhere. 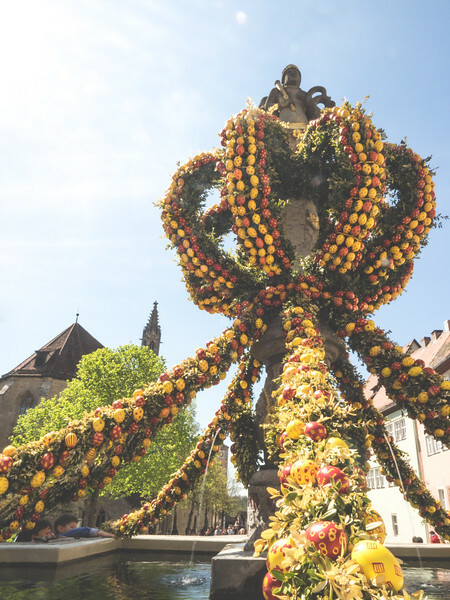 A perfect blend of old and new, Rothenburg's biggest draw is the medieval village. 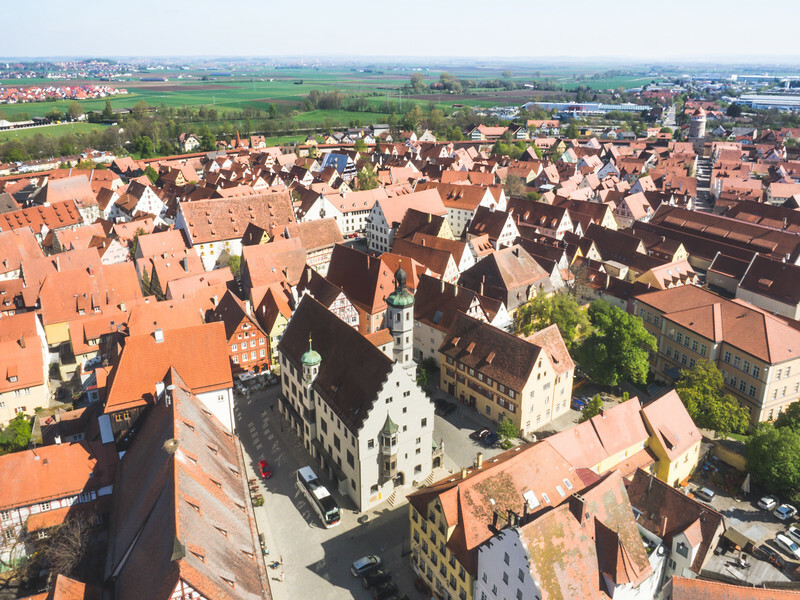 Surrounded by the original medieval wall and filled with charming Bavarian architecture, Rothenburg feels a little Disney-like but is worth seeing. Other Romantic Road villages retain much of their rural charm, some no more than a quick glance while waiting for the stoplight to change. Towns like Feuchtwangen, Schillingsfürst, and Diebach peppered the roadside between Augsburg and Rothenburg. 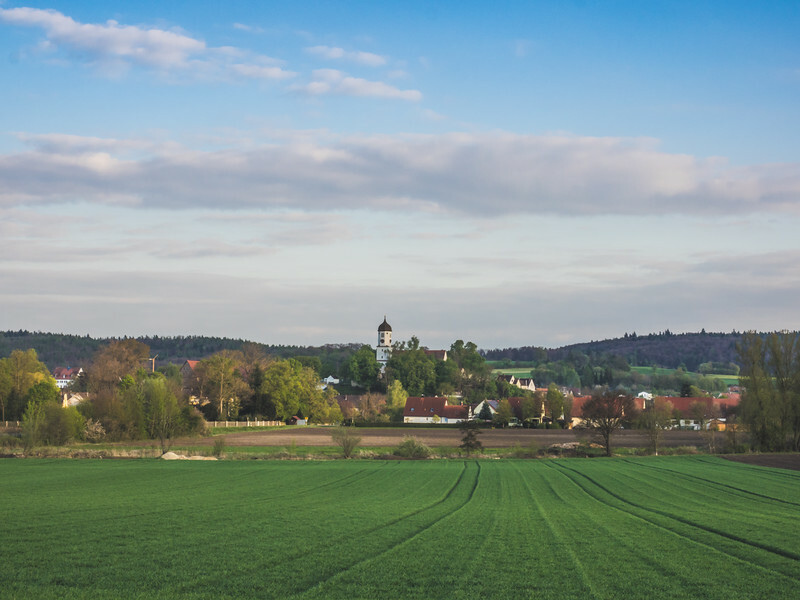 North of Rothenburg, towns such as Gollhofen, Simmershofen, Creglingen, Bieberehren, Röttingen, Werbach, and Helmstadt are more spread out but just as charming. Driving in Germany was a joy compared to driving in the US. Not only are the roads better, but the lack of speed limits seems to make driving safer. I know it sounds bizarre, but it's true. People seemed more alert and courteous on the road. Just be mindful of the people trying to get around you. Don't block drivers from passing you. That's just being a jerk. 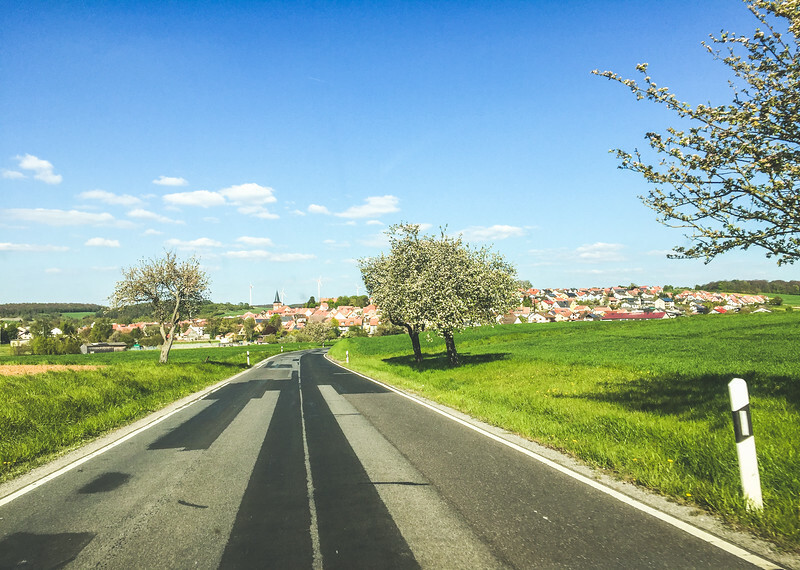 The Romantic Road is mostly two lanes, so you won't have to worry about that as much as you would driving on the motorways. But you should still be considerate of others. Locals are not interested in tagging along with your sightseeing adventure. They have places to go, so move over and let them pass. Roundabouts are plentiful along the Romantic Road, so make sure you're comfortable with the concept. Essentially, a roundabout is a circular intersection. You enter from one direction and exit another depending on your path. Signposts for local townships are clearly visible, and you'll often see the Romantic Road symbol on roundabout signs. That makes it super easy to find your way without relying on your navigation, which can be distracting. Be courteous and mindful of other drivers entering and exiting the roundabout. Use your signal, let them in, or move inward to give them room, if needed. And if you miss your turn, just make another loop! 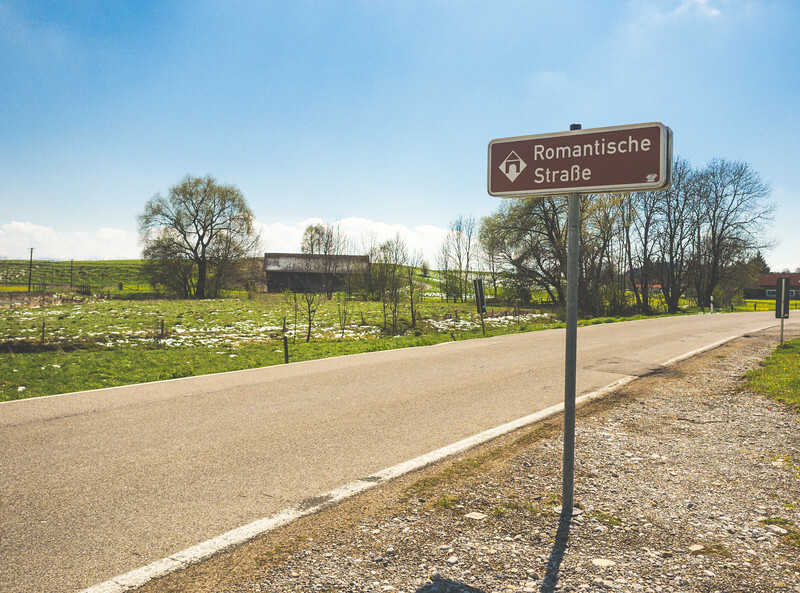 The Romantic Road signs are easy to spot and read (even if you don't know German), so be on the lookout for them. They're not as plentiful along the country roads, but as you approach villages, they're usually clearly visible. But don't be afraid to get off course. 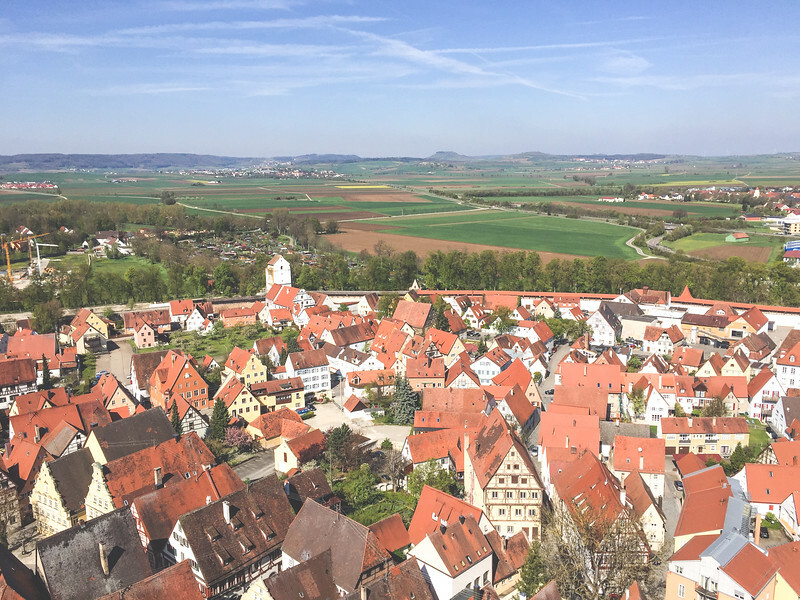 One of the most beautiful stops was off the Romantic Road on the way to my lodgings, which I'd purposefully booked in a quiet little village off the grid. Be spontaneous. Stop when you see something beautiful or exciting. Remember, you're on vacation. 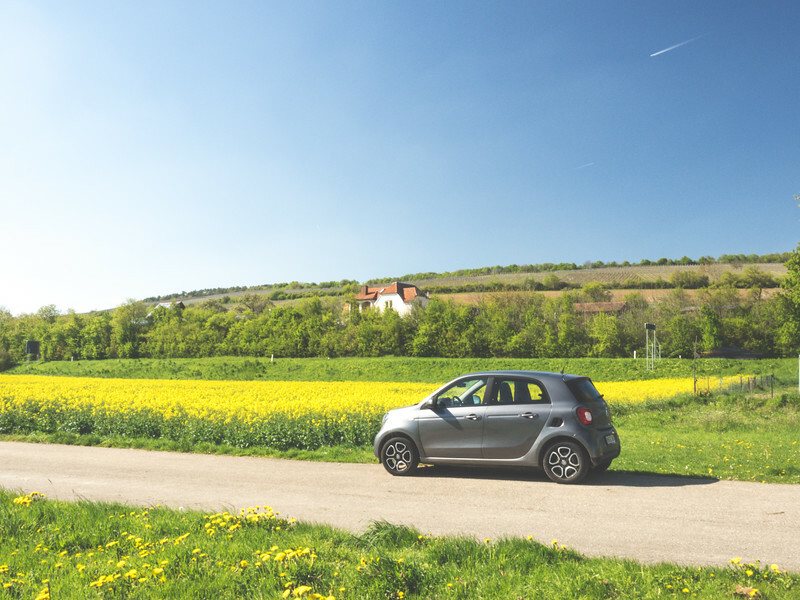 Renting a car in Germany is super simple. Unlike other European countries, there weren't any hidden fees or insurance limitations. Book with a trusted retailer like Europcar and use your travel credit card insurance benefits to save money on insurance costs. Request navigation and take a few minutes to set up English language prompts to avoid unexpected crises on the road. Cute little villages pepper the Romantic Road, each with quaint hotels and inns ready to welcome you. Rather than tell you where to stay, I'll only suggest a few places where I stayed or would like to stay should I ever return. 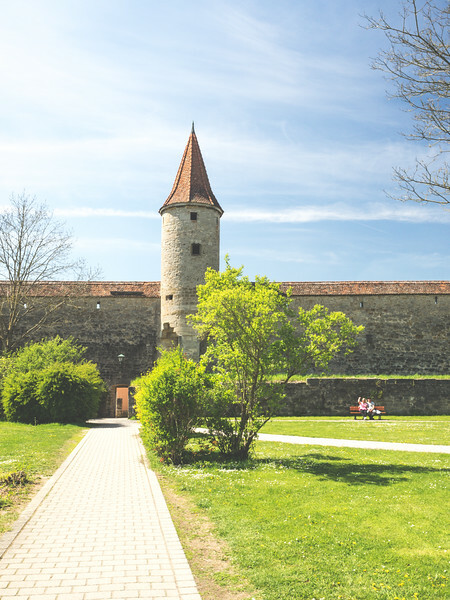 Save money and avoid the spas and upscale spots near the castle. 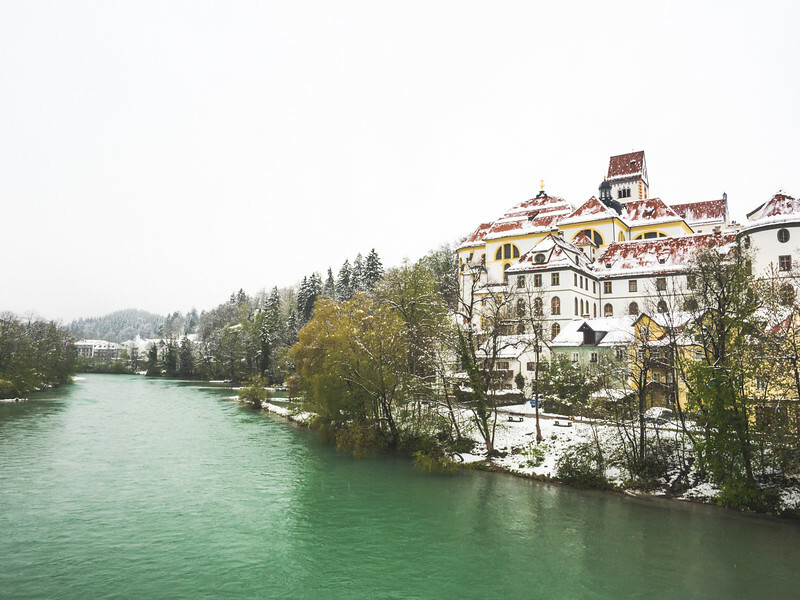 Instead, stay in Füssen. 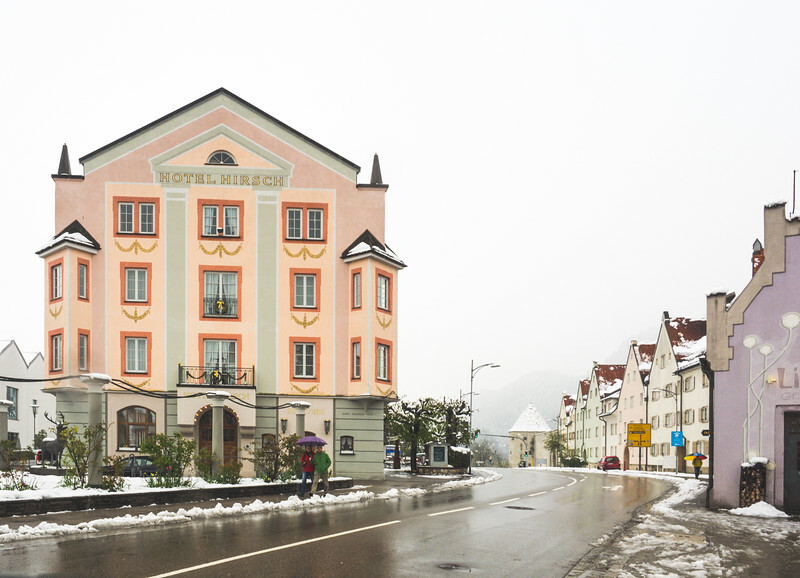 Hotel Hirsch was ideally located in the heart of Füssen and very reasonably priced. They offered single and double rooms, which was perfect for this solo traveler. My room was super cute and cozy and located right down the hall from the lovely patio overlooking Füssen. The dining hall and bar were terrific, serving delicious local specialties for dinner and breakfast. Seeing locals trickle into the bar for a beer, I knew I'd made the right decision by staying at Hotel Hirsch. I chose to spend my second night in a small rural village knowing that I wouldn't feel up to sightseeing in the evening having driven all day. 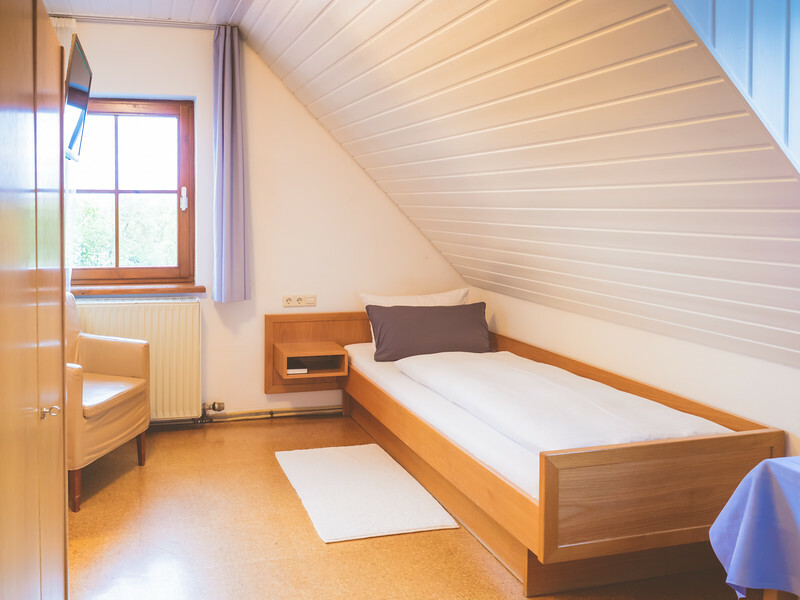 Hotel Oßwald was ideal for anyone looking to get away from it all, but not an ideal location for those wanting to explore in the evenings. Instead, I'd stay in Augsburg, which seemed to have plenty to do and see. In fact, spending a full day in Augsburg probably isn't a bad idea. After wandering for only two hours, I left with the sinking feeling that I'd made a colossal mistake not staying there for the evening. 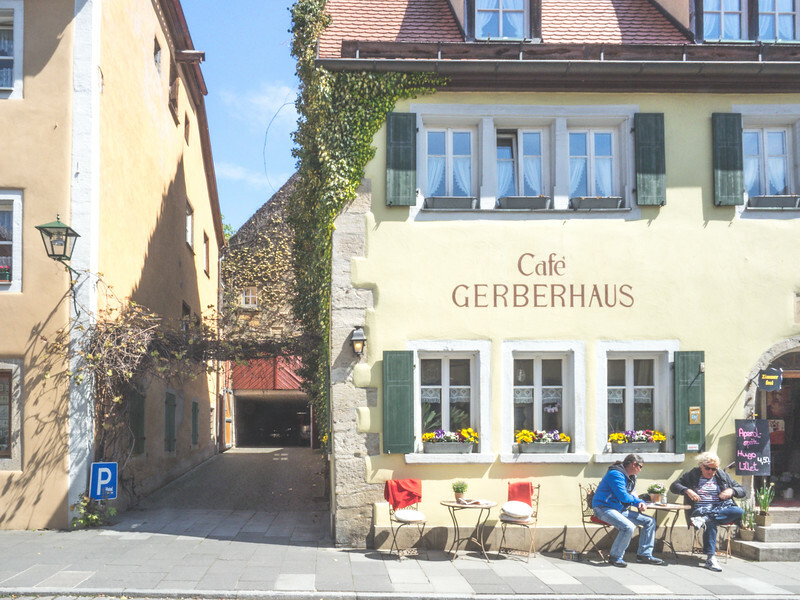 Rothenburg is another place you should consider spending the night along the Romantic Road. There's plenty to do and see to keep you occupied for at least a day, too. Dedicate several hours to exploring the medieval village, checking out the cute shops and cafes while taking advantage of the photo ops. Not staying in Würzburg is the biggest mistake I made on my Romantic Road trip. Instead, I chose to drive ahead to Nuremberg, thinking I'd have time to explore the hip university town. Not only were my lodgings unbelievably disappointing, I felt slightly unsafe exploring Nuremberg on my own as tired as I was. 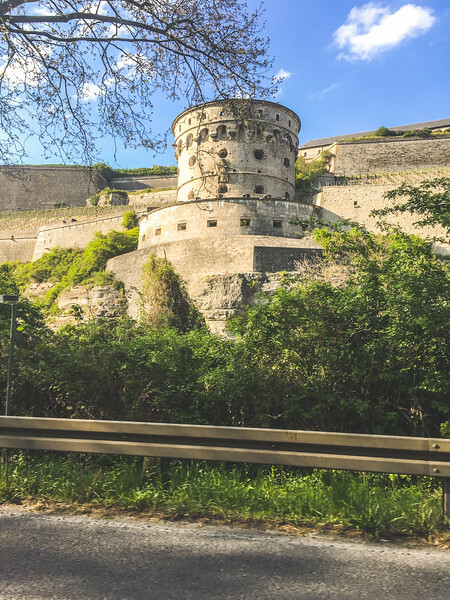 After making so many random stops along the way, I'd left no time in my schedule to explore Würzburg, which was a somewhat unexpected stop for me. While the itinerary I just described was great for the time I'd allocated to my Romantic Road adventure, I personally think it was too short. If I had it to do all over again, this would be my six-day Romantic Road itinerary. 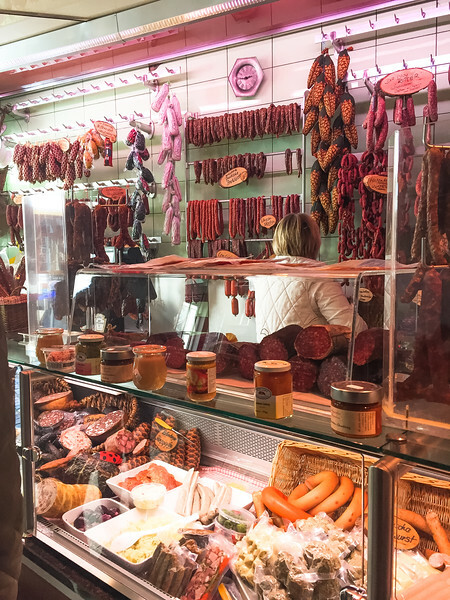 Don't miss the rest of my Bavarian Adventure!